Taking an engaging historical and comparative approach, the book explores social issues such as how children are constituted as raced, classed and gendered subjects; how children’s involvement in war is connected to the globalization of capitalism and organized crime; and how school and work operate as sites for the governing of childhood. The book discusses wide-ranging topics including children’s rights, the family, children and war, child labour and young people’s activism around the globe. In addition to updated literature throughout, the revised edition includes new chapters on migration and trafficking, and the role of play. The book will continue to be of great value to students and scholars in the fields of sociology, geography, social policy and development studies. It will also be a valuable companion to practitioners of international development and social work, as well as to anyone interested in childhood in the contemporary world. Karen Wells is Reader in International Development and Childhood Studies at Birkbeck, University of London. - A whole new chapter on migration and trafficking. - A whole new chapter on the role of play. - Updated literature and examples throughout. - Further developed further reading sections. 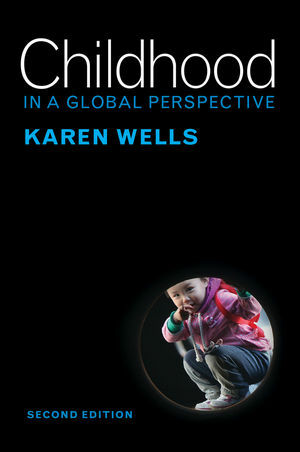 Wells provides a lucid, topical and up-to-date exposition of key issues concerning contemporary children and childhoods. Wells’s ability to skilfully combine broad discussion with close analyses makes this a necessary, insightful and accessible text. Childhood in a Global Perspective is essential reading for contemporary times. The critical elements of twenty-first-century childhoods are explored in coherent and meaningful ways that include discussions of policy and practice, race, class and gender. At the core of the book is a fundamental concern with the lives and welfare of children globally and Wells is able to make connections about the ways in which children’s lives are shaped by their cultural, social, personal and economic milieu in new and dynamic ways.